8 Limbs Yoga Centers partners with community organizations, artists, musicians, and community members to provide special events throughout the year. These may include events such as outdoor yoga, benefit classes, teacher training informational sessions, and mission-based programs aimed at furthering the study of all aspects of yoga. Events vary from year to year and are intended to expand the mission of 8 Limbs Yoga Centers out in the community and beyond. Each February we invite the 8 Limbs community to make a deeper commitment to their practice through 28 days of committed practice. Join us to learn about the 8 Limbs 200-, 500-hour and Pre/Postnatal Teacher Trainings at our free info sessions. 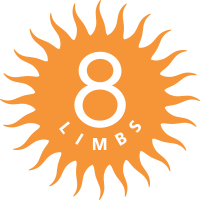 8 Limbs is committed to being a supportive and welcoming place to learn and grow through the mind-body practices of yoga. To be both supportive and welcoming, we will examine, and work to dismantle, the systems of oppression that shape our world. Come practice outside in the glorious Seattle summer sunshine as 8 Limbs partners once again with the Seattle Art Museum (SAM) to offer yoga in the park, Saturday mornings at the Olympic Sculpture Park, July 14 – August 18, 2018!